VWVortex.com - eGolf back in stock in the U.S.
Thread: eGolf back in stock in the U.S. 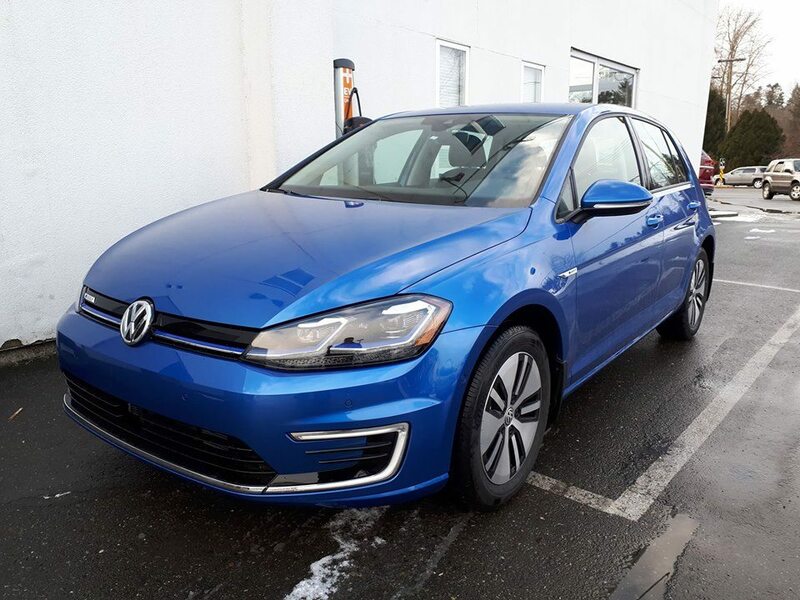 When I was shopping for an EV five months ago, there was no inventory of the eGolf. Not a single new unit on a dealer lot in the Bay Area. Two dealers I spoke with had told me at the time that the eGolf was discontinued in the U.S., although they had access to sales information. Apparently sales have been so strong in Europe that there was not much incentive to ship units here. 2019s have been landing at dealers -- from what I gathered there was not going to be a 2019 model year in the US! Last edited by Wimbledon; 03-07-2019 at 04:26 PM. The market thankfully shifted. VW, like a ton of others, had a revolt on their hands in the dealer bodies due to profitability in EV sales. Constrain the product, take it away, and drip it back into a market. Thankfully the days of a store losing $2,500 net to lease an EV to customer for $99 seems to be over. Yikes. Our VW store had a huge swing in profitability when they removed the stupid DVB program. That program, and a similar one in Nissanland murdered front end profit. It's also hard to hide a Jetta payment of leg out in California. Yeah the mileage is pretty crappy. It is a good car and "flies under the radar" a far as being recognizable as an EV. I have a 2016 with 20,500 miles. We’ve got over 30k miles on our 2016. Our lease ended this past October. There were no updated versions available to replace it so we bought this one. More range and more power would have been nice but we’ll drive this one until the battery dies. Now that is a good looking EV. Really love that green - is it the Great Falls Green from the GTI/Alltrack or a different green? It's Great Falls Green, a great color IMO. CarGurus shows 7 new green units nationwide. 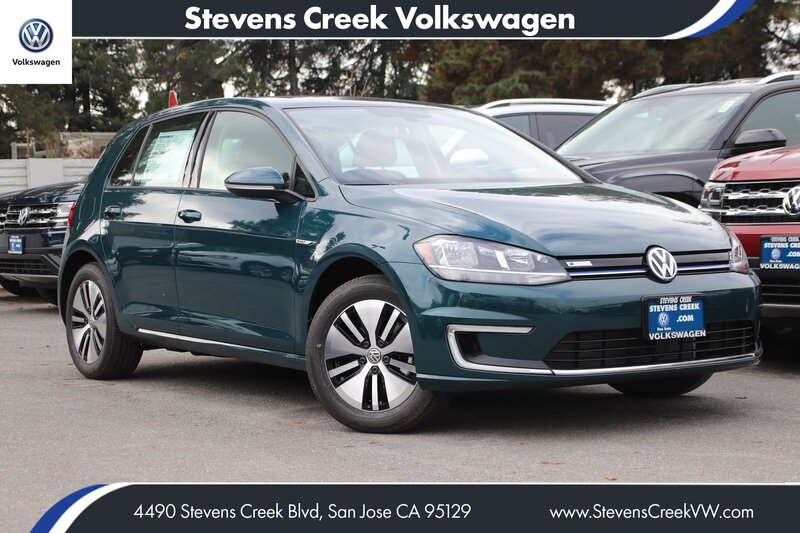 What's very interesting is the 2019 order guide does not even list the green color as an available option, yet Stevens Creek VW has a 2019 unit in green. The DC Fast Charging option is now standard for 2019. 35.8kWH battery and 125 miles of range. Last edited by Wimbledon; 01-12-2019 at 03:21 PM. It's not leading the market anymore, absolutely. That range (125 miles on e-Golf since 2017) works for my daily driving though, with significantly less impact to my budget than choosing to buy a Model 3. I've saved quite a bit of fuel money and emissions since I chose to daily an EV instead of another gas car. Last edited by Wimbledon; 01-12-2019 at 03:17 PM. That range would also work for my wife round trip. Might be something to consider when her Passat lease is up this Spring. While 125 miles isn’t earth shattering, it’s almost 50% more than the 83 miles mine has. There have been a few trips where we had to leave the EV home and take the gas car. 125 mile range would have gotten us there. Same thing happened in Ontario. There was a 12-18 month waiting list a year ago, new government scrapped the $14,000 EV credit, and now there are numerous eGolfs sitting on lots. Without the incentive, the price is too high. Last edited by sandwich-chris; 01-12-2019 at 05:15 PM. Limited sales of compact compliance cars with a $30,000 MSRP. They are going to entice the low hanging person who leases they are getting a good deal. The three year cycle of consumerism is not environmentally friendly. 125 is plenty good for a typical commute. Ironically I had almost forgot about these, then was behind a brand new one on temp plates this AM ( California just adopted temp plates Jan 1st ) so I knew the car was a 2019. It was in a color similar to that Toyota cement color. At first I was like, the new GTi is handsome, then squinted and noticed no visible exhaust pipe, and saw the eGolf badge. Yup, I'd be happy with such a car as a used, fully depreciated option. I can count on one hand the number of times I drive more than 100 miles a day per year. Last edited by AZGolf; 01-12-2019 at 10:17 PM. I had a 2015 SEL Premium and put 31k miles on it. Great commuter for my 64 mile round trip. part of me thinks I should have kept it instead of ditching it for the sportwagen. Also noticed zero battery degradation in those 31k miles and could routinely beat the EPA range of 84 miles. The AC kept the car cool in 115 degree weather. the eGolf uses a thermally managed battery, so it's unlikely to degrade as quickly as the Leaf's pack. Are you sure? I think the e-Golf is simply air-cooled. Wait, really? I thought they switched for the 2017 or whatever, but if not, then ok. Back to declaring the Kia/Hyundai EVs as the most promising future used EV. eGolfs are landing in Canada again. Envious they have 30 colors to choose from! Range would work for my commute (50ish miles round trip, mostly all traffic). Lives in Texas, so sees no e golf in dealer inventory.